Take a step out of your comfort zone, for there you may discover a new beautiful place! Today’s recipe is from the blog Simple Nourished Living, check them out! 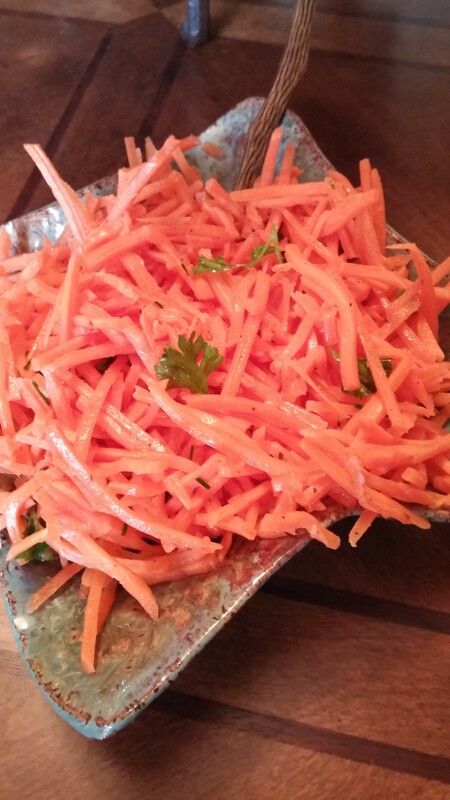 It is a healthy addition to any meal and makes a beautiful salad on any brunch table! 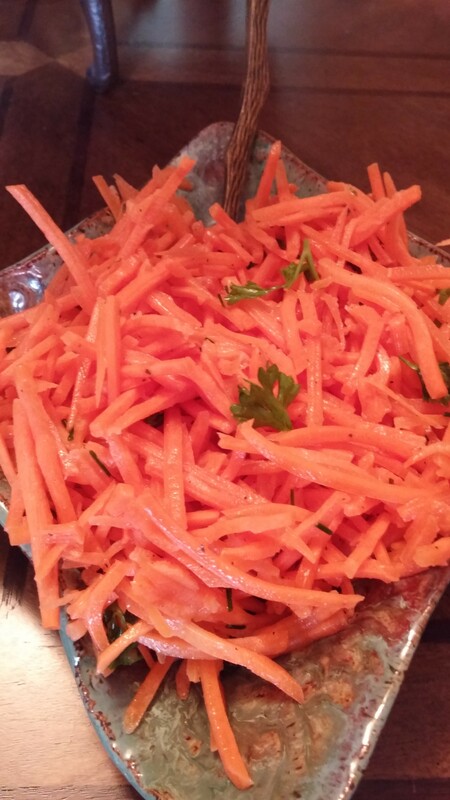 I always shred my own carrots but for this recipe I really wanted long stick like shreds so I went to the salad bar at my local Wegmans! Let me say, this is NOT the most economical way to make this salad haha but it is what I wanted to do! 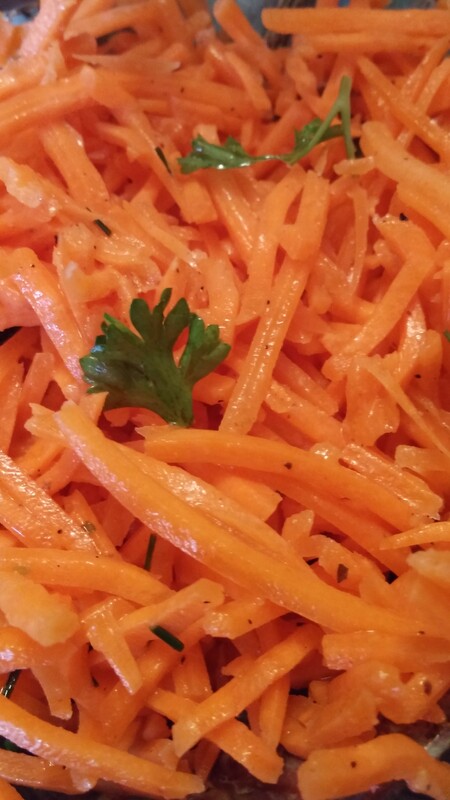 I use a box grater normally to shred my carrots. I LOVE my box grater! It is not a high tech kitchen tool by any means but it is one of the best kitchen tools to have! I recently served this salad with crab cakes, very healthy natural tastes, YUM! Give it a try! ENJOY! Combine all dressing ingredients in a bowl and whisk. Honestly I make so many dressings each week I did not truly measure everything and it turned out nicely! Add you carrots and toss to combine. Let sit in the frig for at least an hour before serving! SO delicious!